If you're in one of my classes, you know that I have a 'technology-friendly' classroom. In a sense, this is going against the trend, as there is a significant amount of research that suggests technology in the classroom contributes to student distraction. You can read some of that research here, here, or here. So, why do I allow my students to use their phones and laptops in my classes? Perhaps I just want my students to do poorly? Maybe I want my students to be able to watch cat videos on youtube if my lectures get too boring? The real reason is that I still believe we can harness the technology we live with to add to our learning, instead of detracting from it, and that learning how to achieve this is an important part of a modern university education. So yes, having your laptop in class might distract you - or another student. Being able to check notifications on your phone while in class may also be a distraction. I could try to reduce the distraction in the class by banning laptops and mobile phones, and it is even possible that students would perform better in my courses as a result. But, if I did this, I'd be failing to help my students learn the skills that they need to be successful outside of the classroom. When you're studying for an exam, I cannot force you to abandon your laptop or your phone. When you eventually go out and get a career, I won't be there to tell you to ignore your social media accounts so that you can be more productive. University is about much more than learning the content of a large number of expensive textbooks; it is also about learning how to succeed, and learning what you need in order to be able to succeed. In today's technology-ridden world, that includes learning how you can best manage your own use of technology in all types of situations, including the classroom. I hope that being in my class will give you the opportunity to learn what works best for you. Even if you are a student who decides not to use technology in the classroom, chances are you'll still be inundated with other people's technology in other areas of life, including at the library or at your future job. Now, having said that, I'm not about to just throw you into the deep end of a sea of laptops and mobile phones without providing a lifeline! Here are some of the methods that I use to avoid technology-related distraction, and perhaps some of them will work for you as well. My computer has a teaching user (Dr. Blair) and my regular account (Karen Blair). A Clean Desk(top). Did your parents ever tell you that you'd study better if you cleaned off your desk or cleaned up your room? Less clutter in your physical space can help you to focus and be more productive. This same logic can extend to your technological desktop on your computer. Most computers and operating systems today allow you to create more than one user profile. Why not make a separate user for when you are in class? This user's profile should be as bare-bones as possible. Don't log in to any of your social media accounts. Don't even connect your Google account to your Chrome browser. 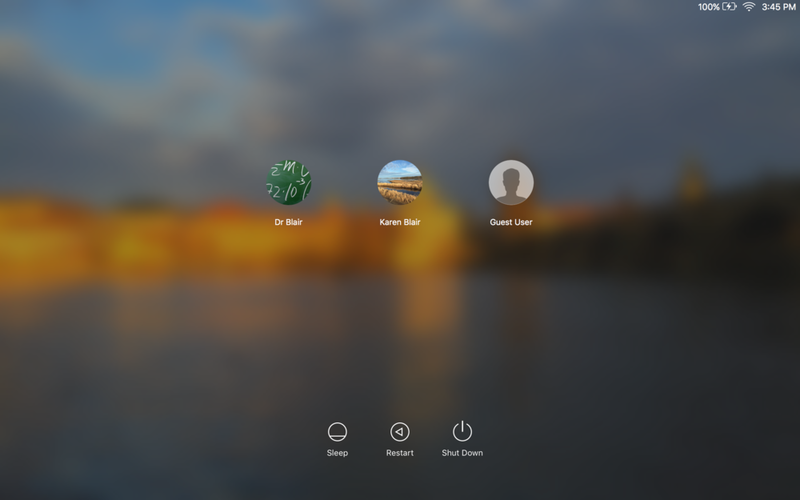 If you're on a Mac, don't sign into the iCloud. Don't login to iMessages, don't even load up your email into whatever native email program is on your computer. All that you should have on this user's profile are the programs you need to take notes or complete class-related activities. If you do not need to access the internet in class, you could even delete the web browsers for this user. Finally, keep the actual desktop clean. Don't let it fill up with random files and folders. When you use a separate profile, you won't be distracted by notifications popping up on your screen while you're in class and you'll be much more likely to stay focused on the task at hand. By not already being logged in to your social media accounts, it will be that much easier to avoid them. Do Not Disturb. Your technology wants to be your friend, so much so that it has already gone to great lengths to find ways to be less of a distraction in your life. You can set your phone to Do Not Disturb mode so that no notifications pop up on your screen. 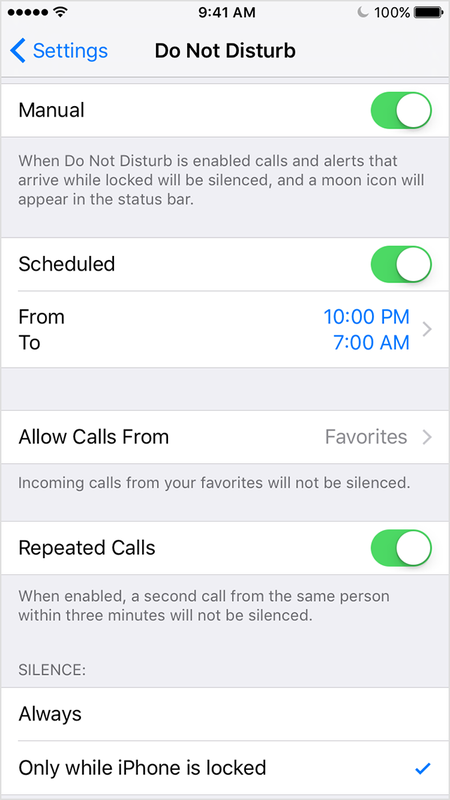 You can even set it to automatically be on Do Not Disturb mode during certain times of the day (e.g., the times you might be in class). If you're using an iPhone, it's as simple as a swipe up to reveal the control center and then you just need to click the crescent moon button to put your phone on DND mode. Android has similar features, and with Android, you can even integrate it with IFTTT.com applets to automatically schedule DND times, so that your notifications will automatically return in between your classes. Artificial Will Power. Finally, if your will power needs a bit of an artificial boost, technology can help you with that as well. I've written about this before, so I won't go into great detail here, but you can install various programs and plugins on your computer that will block distracting websites and programs for various durations of time. For example, when you get to class you could click a button to start the blocking and set it to block you from all distracting sites for the next 90 minutes, or until class is over. Commitment. In the end, tools like the ones mentioned above can only go so far. To really learn how to be successful during your time in University, and beyond, you need to find out what works best for you and commit to making the right decisions that will help you to stay focused on your work. As your professor, I want to help you get there, even if it means going through a bit of a steep learning curve of getting used to regulating your own use of technology in the classroom.